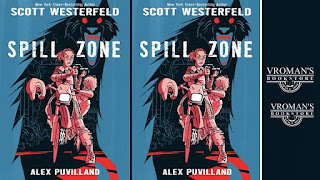 Scott Westerfeld discusses and signs Spill Zone! 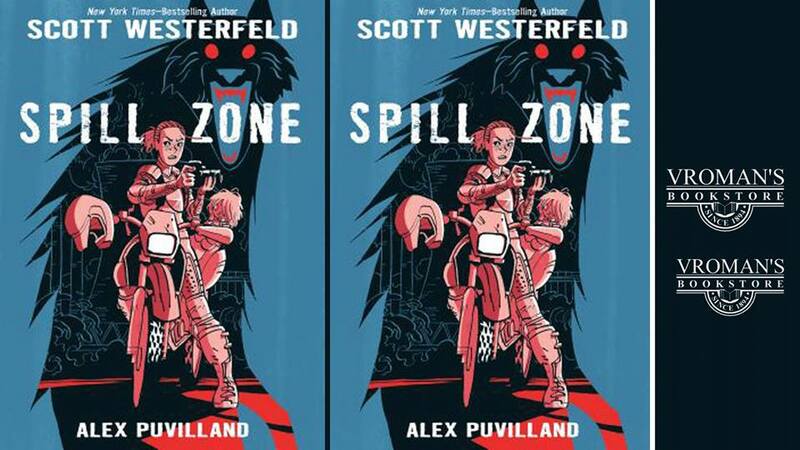 Author Scott Westerfeld discusses and signs Spill Zone, his first graphic novel from First Second Books. Just in time for it's recent release we have the signing from it's author, Scott Westerfeld here in LA. The strange new series is about a young woman named Addison who secretly rides into what's left of her town that's been really messed up from a power plant meltdown with a nanobot experiment gone wrong. If that's what even really happened. It's called the Spill Zone. She's only grabbing pictures of the weird oddities that have affected her town to earn some coin as no one is really allowed in. Spill Zone was a short look into a very strange world, I'm not sure if it needs to be a series or if it couldn't have been just released in a much larger tomb finishing the story. There's some great art and weird phenomena to look at in the book and just ponder what could have caused it all. There's a whole subplot with North Korea wanting answer that make it seems like a bad writer from the CW somehow got into the plot. Take a spin of you own into the Spill Zone and see if you like where it's going.